Cllr Webb has a long career in local government, having been clerk to Monmouth Town Council for 10 years and worked with Trellech United Community Council for 20 years and Raglan for 8 years. She has been a Councillor with Monmouthshire County Council for 10 years and was appointed to the National Park Authority in May 2012. She has experience in Planning, Community Projects, Licensing and is a school Governor. 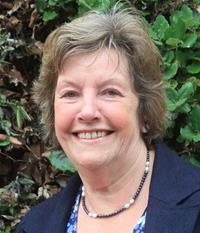 Also a Board Member on Monmouthshire Housing and appointed to the Rural Development Commission. Ann also sits on the Environment Agency Wye Navigation Advisory Committee and the Wye Valley A O N B joint advisory Committee. She lives on a family run farm in Trellech Grange.